How to Host a Training Course? I get a lot of email, Facebook messages and forum comments from people who ask me when there is going to be a Intuitive Defensive® Shooting course in their area. Usually, my first response is to check the calendar at Intuitive Defensive Shooting and see if we’re going to be in the area being inquired about. You’d be surprised how many people go through the effort to find me on the Internet, but don’t use the search engine to see if they can answer their own question. If it turns out that we are not planning on being in that area in the near future, my first response is to suggest that they host a course. Hosting a course can be a great way to get the training that you are looking for, usually for free, without ever having to pay for a night in a hotel, take a long drive or worry about traveling with guns and ammo. Almost every national level instructor that I know will travel to a group of students under the right circumstances, and most of us actually don’t have dedicated facilities anyway… so we need hosts! While I can’t speak for all of the other professional traveling instructors, I can give you some general to get you moving in the right direction to host a course in your area. First: If you’re reading this article, you have internet access… Use It. Use your search engine of choice and visit the instructor’s web page to see if they have information posted in regard to the process of hosting a course at your local range. There might be an important piece of information there that can make or break your bid to bring your most highly anticipated instructor to your home town. There may specifications for range facilities, limitations on the number of students (min or max), restrictions on the times of year or the types of classes that can be run. Suffice to say, if the Instructor in question has a simple set of rules, they are probably available online… at their website or in a discussion forum somewhere. Second: Contact the Instructor (for the purposes of this article, insert “Company” where I have instructor if there isn’t a person in particular that you are interested in hosting) and let them know about your interest. If you already have a specific venue or time of year in mind, let them know. If you already have a group of people committed and ready to place deposits or pay in full, let them know that also. Basically, anything that you think might be enticing or important to the instructor should be included in your initial email… otherwise, it is just an extra step when you have to send another email later. Chances are that if you want an instructor to come to you, so do other people. If you are more organized and seem like you have things moving in the right direction, you might get the nod for a valuable piece of “good weather weekend” territory on the calendar. Third: Follow the guidance that the instructor gives you. If you are told that the only time of the year available is October through December and that won’t work for you, a polite “sorry we can’t do business” is always appreciated. Asking to put on a contact list in case things change is never a bad idea, but at the end of the day, if the instructor’s requirements and your ability to meet them don’t mesh, it won’t work out. If there are timelines, other people in the instructor’s company that you need to deal with, requirements for written documentation or agreements… whatever their business model calls for, just follow along or accept when it won’t work. If you think you have a legitimately unique situation which bears consideration, explain it professionally and thoroughly to the instructor and you might get an accommodation… but, keep in mind that if the instructor is running 30 or 40 courses per year, having to make 30 different sets of arrangements in regard to finances, deadlines, ranges, targets and all the other variables would be close to impossible. Fourth: Be clear about expectations. Make sure that there is a clear understanding about how the money will flow, how registrations will be handled, how expenses (range, instructor travel, targets, etc) are being covered and whose responsibility they are and the specifics of the requirements that were discussed in step three above. Be very clear and be upfront if you don’t think you can meet your obligations as host. This step includes liaising with the actual range facility and/or classroom. If you control the venue yourself, this step is easy and obvious, but it you are working as a go-between for a visiting instructor at a local range, be sure that they understand what their responsibilities are and what they are getting out of the deal. They should also know exactly what type of training is going to be conducted and have specifically approved the activities ahead of time. While you may not need a written contract or formal agreement, having one summary email that lists responsibilities of all of the involved parties is probably a good idea. Fifth: Once the date is set, help with the marketing. If the class is full, you’ll be hero to the instructor and to the people that attend the training and know that you helped. If the class just barely meets the minimum, of course any professional instructor is going to put on a great course, but he will also likely have at least a fleeting thought about some other class with some other host that was had a waiting list at the same time some other year in some other place. A full class is a great experience for everyone involved. Most successful instructors have a very good idea of what the optimum number of students for their programs is and will be honest about how many people they can handle. Sixth: Be prepared to assist with logistics during the class. In exchange for a share in the revenue and/or your training slot(s), you should expect to do a little work during the class pointing the instructor and other visitors to your area in the right direction when it comes to restaurants, lodging and supplies. You should know ahead of time where to recommend for lunches (many hosts of my courses prepare a handout for the visitors that includes a list of places close to the range and some basic directions), dinners and for things like ammunition or a new holster, should they be necessary. Big deal things that fall on your plate (preparing target stands, for example) should have been spelled out in step four, but the little things that just naturally fall under the Hospitality part of being a host should go without saying. Following these six steps should lead to a successful hosting experience. Hosting a class can be very rewarding and can lead to more training and even a little bonus revenue stream from time to time. 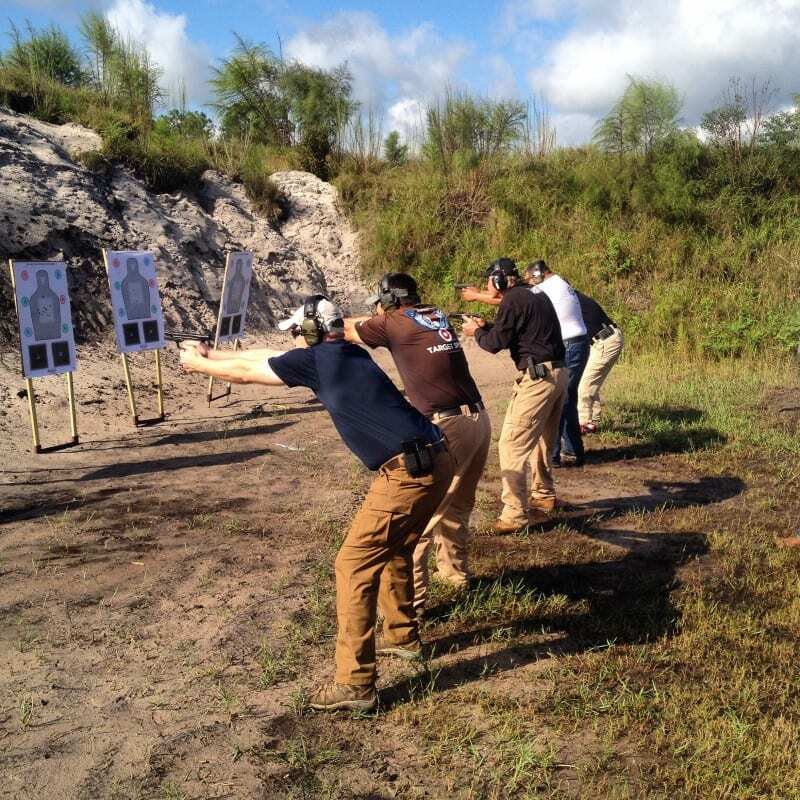 The firearms training world is a relatively small community. If you get a reputation as a great host, you might end up getting referred to other instructors or even having instructors contact you directly. I know a lot of guys who have been able to attend a course or two a year from some of the top instructors in the world simply by having taken the steps to establish good relationships and act as a good host. Some of them even pay for their ammunition for the course and some practice with the proceeds!